If you are the rooted Mi A1 user and want to Unroot Mi A1 and Flash the Mi A1 stock rom Android OREO. You can do this quickly and unroot your phone without any problem. Here we are sharing the one of quickest guide to unroot Mi A1 and install the official Stock Android Oreo ROM. Rooting has so many benefits, but this will void the warranty of your phone. To claim the warranty again on your phone you need to unroot your phone. Most of the Mi A1 users who recently rooted their phone and can’t install the new update on your phone, they can also use this guide to unroot the phone and install the latest update of Android OREO with this guide. TO unroot Mi A1 all you need the lastest ROM zip file, USB cable and windows PC to flash this official version of Android OREO on the phone. Below we have the complete tutorial to unroot Xiaomi Mi a1 on Android Oreo. You have to unroot and flash the stock system image on Mi A1. But before following this guide do take the full backup of your phone, this process will wipe the data from your phone. This guide is only for the Xiaomi Mi A1 users and don’t apply this method to any other Xiaomi phone. Otherwise, you will brick your phone. Read all the instructions very carefully and follow all the steps one by one on your phone. This guide is only for Xiaomi Mi A1. Don’t try this on other devices. Take a full backup of your data before unrooting the phone. Technobuzz.net will not be responsible for bricking of any devices. Make sure the battery of Mi A1 phone is above 70%. Below is the link to the Android OREO latest file which you have to flash on your phone to unroot. Download the Zip file and unzip the file on your desktop. 1. Go to the Android ROM Folder that you download above and unzip on the desktop. 2. In the folder, you will see some files. See the Screenshot below. 3. Now turn off your device. 4. Press volume down + power button to enter the device to fastboot mode. 5. 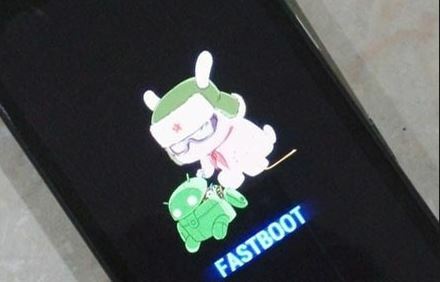 Now your Mi A1 phone will boot in fastboot mode, and you will see the fastboot screen on your phone. 6. Connect your phone to the PC with USB cable. 7. Go back to the Android OREO folder and run the “Rom-Flasher” file. 8. Hit the enter key to start the process, and on the next screen, you will see three options. 9. 1 Option is Dirty Install; This will not delete the data from your phone. 3 Option will relock the unlock bootloader of your phone. From here select the 2 option. Type 2 on the screen and hit the enter button. 10. Now the flashing process will start on your phone and this will take 5 to 10 minutes to complete the installation and Unroot Mi A1. 11. Once the flashing process is finished, your phone will reboot. 12. Now the phone is unrooted and running on the official Stock Android OREO ROM. 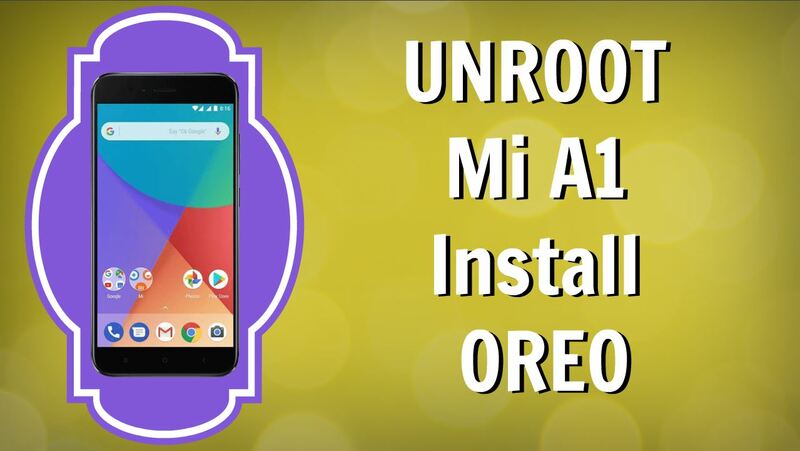 So with this method you can unroot your rooted Mi A1 and install the OREO ROM without Any Problem. If you have any question and facing some problem with this guide then leave the comment below. We will help you to fix it up. is it the global rom version of oreo with german language? Can the mi a1 with nougat be unrooted and flashed with oreo in that way? Thank you for your tool. I did with that and still I have some problem. That is my root checker app say your device is rooted . how do I solve this bro. Please help me. Thank you Sidharth – Unroot worked fine. I have followed the same procedure which you have mentioned but i am not getting OTA updates. Can you please.help me with that?